The Holiday’s are just around the corner. If you didn’t win our last giveaway, don’t fret we have more coming. 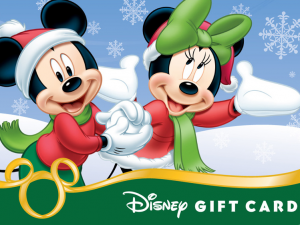 We have teamed up with DisneyDose this week to offer up a $100 Disney Gift card. Enter below and don’t forget to check out the gift giving guide at the DisneyDose.